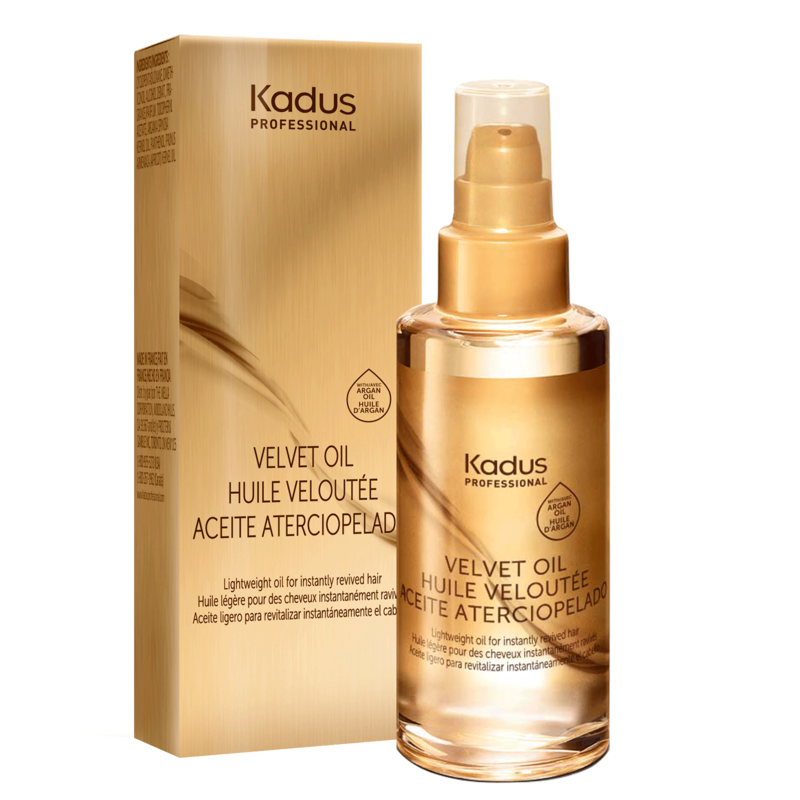 The new Velvet Oil is an exceptional, lightweight oil, enriched with precious Argan Oil. The luxurious formula will instantly revive hair without weighing it down. Velvet Oil quickly penetrates the hair to help repair and restructure the cuticle, instantly revealing healthy, youthful looking hair. To complete your clients’ experience, Velvet Oil has a luxurious, rich fragrance. The smooth, comforting warmth of musk and sandalwood is lifted by fresh, fruity notes of crisp apple, velvety peach and bright citrus. - For instantly healthy looking hair distribute 1-2 pumps throughout the mid-lengths and ends and leave-in. - Use on damp hair for heat protection, on dry hair for anti-frizz effect. - Helps repair and restructure all hair types. - Gives lightweight styling for fine hair. - Provides heat protection from styling appliances.